Gaggenau / Muggensturm - Since 36 Years promoted Ursula Schuon, Schorpp with your same taxi companies that Muggensturmer citizens. You had a great time with lots of nice encounters and lasting memories, and so are their passengers, but its very close to my heart. Today, Ms Schuon Schorpp-resolved, Pass on their corporate taxi. "This decision is not easy but I liked once it must be" in such Ursula Schuon Schorpp-in your letter of thanks its customers. The taxi company is from Schuon 1. 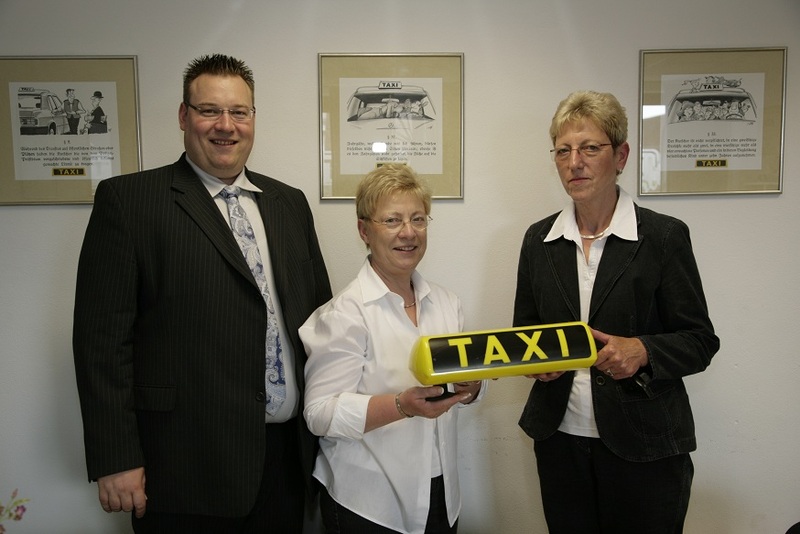 July 2011 continued by the taxi company in Holl Muggensturm. It also retains the old taxi-call 82 58 3, with the motto: "Pick-eight two five-eight-three taxi-Schuon passes", their validity. The company will retain its focus on patient transport and supplemented by the offer of the taxi-Holl. Thus, in future, the taxi-cab Schuon news of the simple-led trips from A to B- Wheelchair-on vehicles for disabled persons, Mini-buses for small groups- to almost 9 Meter-long stretch limousine for special occasions- the full range of taxi-Holl group available. Brand new, may from 01. July 2011 around the clock 7 Days a week by calling (07222) 82 58 3 be a taxi at the taxi center of the taxi company ordered Holl. It uses the latest GPS-based company Holl switching technology. The Holl family would like to continue the usual service and the quality and maintain the firm in terms of company founder. The taxi company Holl Holl has over Edeltraud 36 Years in the transport of persons employed. The company is managed by the owner, Edeltraud Holl, in the second generation and also led her two sons, Dirk and Sebastian Holl work with the company and will continue this. With a current 31 Vehicles and over 80 Employees is the largest taxi-cab Holl- and car rental companies in the district of Rastatt. With the brands taxi Holl, Inge's passenger transport, Murgtal Autoruf, Finest limousine service and taxi Schuon with branches in Baden-Baden, Gaggenau, Gernsbach, Muggensturm and Rastatt offers taxi Holl group around its customers a service in terms of passenger transport and courier services. We will gladly arrange an interview or provide you with further information and images. We are very, if you keep us up to date on publications. For online texts is enough for us a link, otherwise we would appreciate a sample copy, a scan, a PDF or via a broadcast recording.